February 16, 2019, 10:00-12:00 p.m.
Share your interest in writing with a group of talented writers. 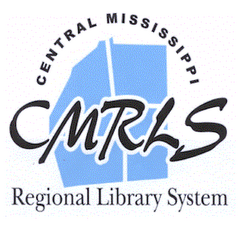 This group meets every third Saturday of each month at the Flowood Library. Explore the art of writing with masters of the written word. Bring the book or short story you have been working on and have it critiqued and improved upon until it becomes a well-polished masterpiece that can be published. Learning to write was one of the more difficult challenges I had to face when I started college at the University of Georgia. Fresh out of high school I had to take remedial English or English 100 as it was called. During this summer class, I learned to write a paragraph. I passed the class with a “C” and moved on to English 101. My experience in English 101 was most unpleasant. The teacher had a “my way or the highway” attitude and the class had no sense of direction. I passed the class with a “D” and had to retake the class. The University of Georgia offered English 101 as a correspondence course. We did not have online courses back then. If we had online courses, then I could have avoided setting foot on the overcrowded UGA campus. Learning to write was hard for me. I had the imagination to write, but I lacked an understanding of the formal structure which accompanies writing. I did not understand thesis statements, themes, or the basic introduction-body-conclusion components of almost every form of writing. I did not understand the need for sentence diagramming. I did not know what a semicolon was. I could not write a paragraph, an essay, a research paper, a master’s thesis or a dissertation. I opened my Harbrace College Handbook 1984 edition and learned about subordinate conjunctions and subordinate clauses which for me are the basics of writing. Two racers decided to compete to see who had the faster car. The two drivers revved their engines as the flag dropped. The two cars started to move and accelerated to 30 miles per hour in a matter of seconds. They rounded a curve and increased their speed even more. A dog was in the road, so the cars swerved out of the way and continued. Their speed reached 100 miles per hour as each fought to keep the lead. They approached a one-lane bridge that could only fit one of the cars at a time. Their speed reached 120, and neither driver showed a sign of letting the other through first. The bridge was 100 yards away. The distance narrowed to 50 yards and then to half of that. Both cars impacted into the bridge and exploded. The race was over. The assignment was to write a story that would end in a climax or immediate conclusion. We learn to write to complete a research paper. We learn to write to complete a job application and often a resume. We write to create the great American short story or novel which may become a Hollywood movie someday. We write because we live in a high literacy society where our ability to write can often make a difference between success or failure. The next meeting of Mississippi Writers Anonymous will be February 16, 2019, between 10-12 p.m. This group meets every third Saturday at the Flowood Library. Come find your “muse” with a group of talented writers.